What Are the Best Tips for Planting Jasmine Seeds? When growing jasmine seeds, it is important to remember to wait until six weeks before the last frost of the season and to make sure there is enough room for the seeds to grow while they are kept indoors. It is typically best to use seeds gathered the previous summer season from a live plant, although they can be purchased as well. Before growing jasmine seeds, it's also a good idea to have an outdoor location planned out for an easier transfer. 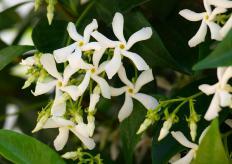 The first step in planting jasmine seeds is to purchase seedling pots and seeds. Most seeds will need to be submerged in water and allowed to soak for about 24 hours before planting. They should be planted six weeks before the last frost of the season so that the plants can be safely moved outdoors once they are ready. Each seedling pot should be about roughly four inches (10.2 centimeters) with potting soil and sometimes other organic material. A nursery grower or the package the seeds came in can provide exact instructions for soil options for each individual variety of plant. The soil should be soaked with water and then allowed to drain. Seeds should then be sprinkled in each section of the planter and lightly covered with soil. It's important not to cover the seeds too tightly, as this will hinder their growth. Jasmine seeds love sunlight, so they should be kept near a window to allow for plenty of natural light. If this isn't an option, specialized bulbs and lighting fixtures are also available. The soil should be kept damp without over-watering. Once the plants begin to grow, they should be separated and replanted in a gallon-sized pot, using one pot for each plant. This is where they will stay until they are transported outside. Once the weather has warmed consistently to at least 70 degrees (21.1 degrees Celsius) during the day and 50 degrees Fahrenheit (10 degrees Celsius) at night, the plants can be moved to their permanent location. Plants should be placed at least eight feet (2.438 meters) apart since jasmine usually grows quite large and is likely to spread out into a shrub or vine. They can also be placed near a trellis or porch railing and allowed to create a vine around these items. It is typically not a good idea to plant jasmine seeds outdoors. 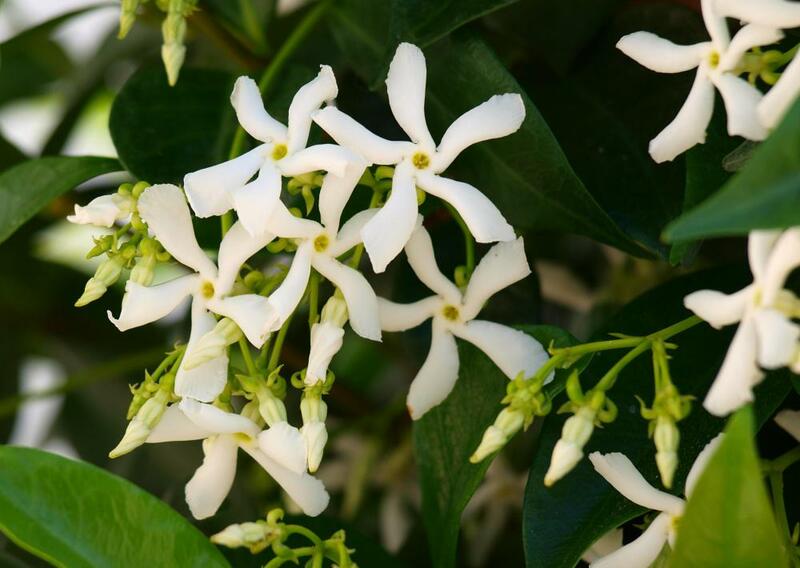 Although they are resilient and jasmine is able to grow in various weather conditions, they do much better when allowed to grow and thrive in a warm setting during their first growing season. Once they are established, jasmine plants are typically very rugged and easy to care for. What is a Madagascar Periwinkle? What are the Different Types of Flowering Vines?